understanding your senses! the quintessential resource on sensation and how it relates to everyday living. Henry Stewart Talks creates collections of talks about various topics. The Biomedical and Life Sciences Collection includes a new series entitled: Autism and Autism Spectrum Disorders: History, Diagnosis, Treatment and Outcomes [F. Volkmar, ed.]. These series are used as an educational resource by leading academic institutions and pharmaceutical companies worldwide. Here is the full citation of my talk about sensory processing, in case you are interested in further information. I am honored to be included with the most world renowned authors on these topics. Is this available in written form? I don't have access to that website. When people learn about sensory patterns, they think of stories. Post your stories to illustrate how sensory responses impact everyday life! September 23 posts provide a quick summary of each pattern. or look for a friend in a crowd? It’s likely that one of these situations would be pleasant for you, and perhaps one would be unpleasant. Some people will adore the grainy texture of a pear, while others will shudder at the idea of putting this texture in their mouths. Being next to a feather boa will be fun and luxurious to some, and others will bristle at the idea of all those feathers brushing on the skin. Noisy, busy environments will energize some people, and will overwhelm others. This myriad of reactions reflects people’s individual sensory patterns, and these patterns affect the way we react to everything that happens to us throughout the day. 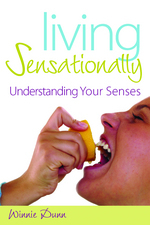 Living Sensationally walks the reader through the key features of the four major sensory types: Seekers, Bystanders, Avoiders and Sensors. The author helps readers to identify their own patterns and the patterns of those around them, and then offers suggestions for harnessing this knowledge to make their lives more in synch with their sensations and by doing so, make their life sensational. Living Sensationally is the quintessential resource on sensation and how it relates to our everyday living. 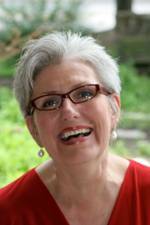 The author translates research into practical ideas for individuals, families and businesses. When one’s complex array of sensations is understood, life can really be sensational for everyone. Armed with the information in Living Sensationally, people will pick just the right kind of clothing, job and home and know why they are making such choices. Dr. Winnie Dunn is Professor and Chair of the Department of Occupational Therapy Education at the University of Kansas Medical Center. She is the leading authority and internationally recognized for her research about how people respond to sensory experiences in their everyday lives. Professor Dunn has published widely and her work on sensory processing includes development of measures, [the Sensory Profiles], which are used internationally. She lives with her husband Tim in Kansas City, Missouri.